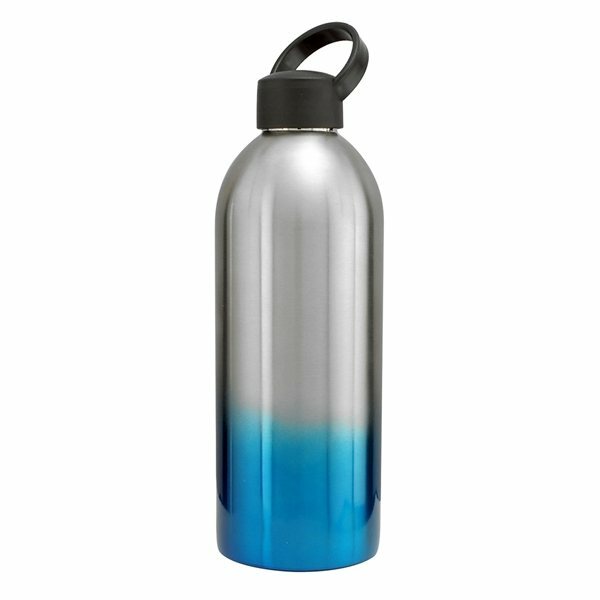 Our new 1-liter stainless steel water bottle is a healthy, fun and environmentally friendlier alternative to plastic bottled water. The 1 Liter size is a great size for both older kids and adults to use for school, sport or as an everyday drink bottle when you are out and about. Features a unique and attractive gradual coloring shade on the bottom for a classy look. It was more than reasonably priced allowing us to get many and stay in budget. Don't have a least at this time. the low price really mattered to us. Also, it was put together nice with the packaging. I like the product. I loved how crisp and clean the logos looked on the items. good price, very happy with quality! top quality. Also, my usual supplier was unable to provide this item for me. Found AnyPromo on the web. Delighted! Happy with the quality and also the timeliness.